Lisa from Goodiebites is back with a mouthwatering cake pop! 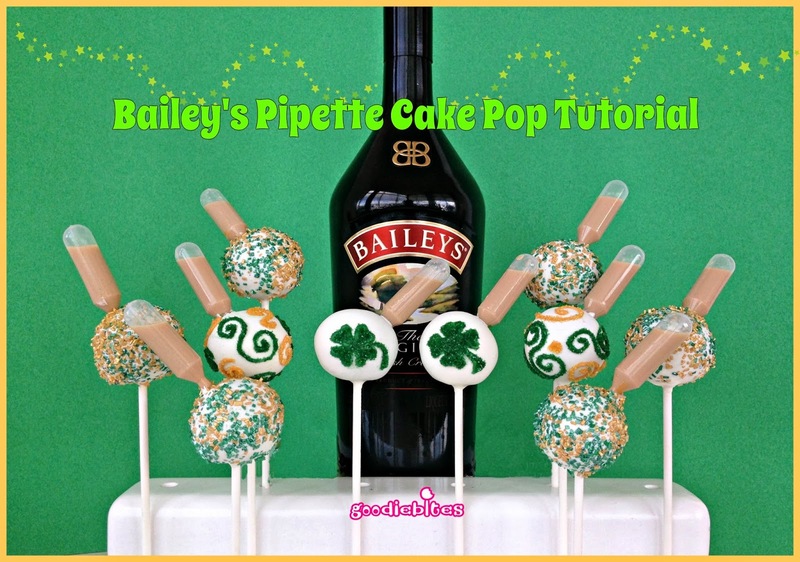 I am a big Bailey’s fan and I bet these cake pops are beyond amazing! It’s been an exciting month for Goodiebites Cake Pops here in New York City! Though it’s been a cold and snowy few weeks, it hasn’t stopped our new Cake Pop classes from growing. We have a whole new line up planned for March including Mommy & Me classes and even a BFF Mocktail & CakePop evening for best buddies. Check out the full listing of classes or let us simply create some custom, creative and tasty cakepops for you by visiting our website at www.goodiebites.com. As exciting as February was, March brings so many new things as well. First and foremost, SPRING is coming! Woo Hoo! But just before that, St. Patrick’s Day will be here. 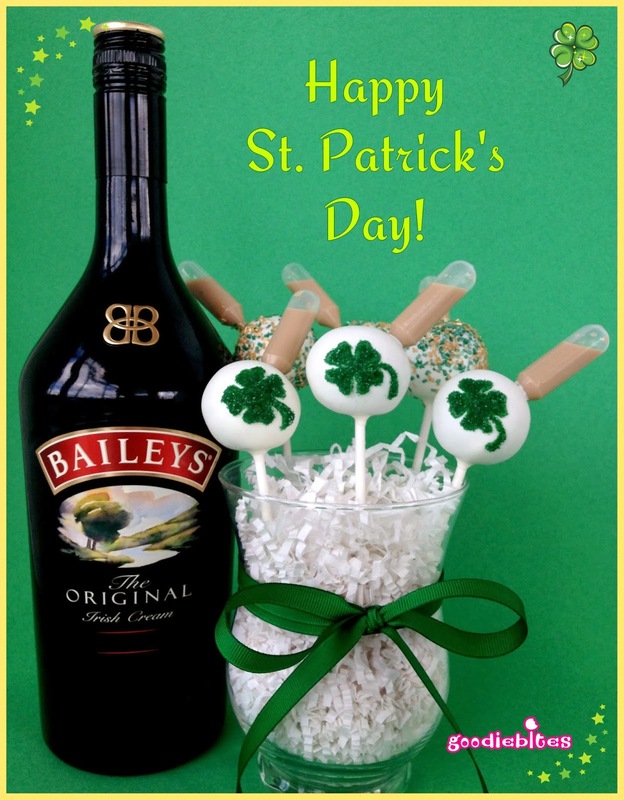 And what better way to celebrate than with these Bailey’s Irish Cream cake pops. 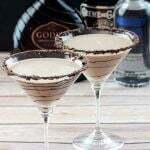 Not only are they baked with Bailey’s in the batter, but then we’ve added an extra little shot in the form of a pipette filled with the luscious liquid. Talk about Luck O’ the Irish!! 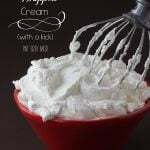 Delicious and easy to make, I’ll show you how it’s done. 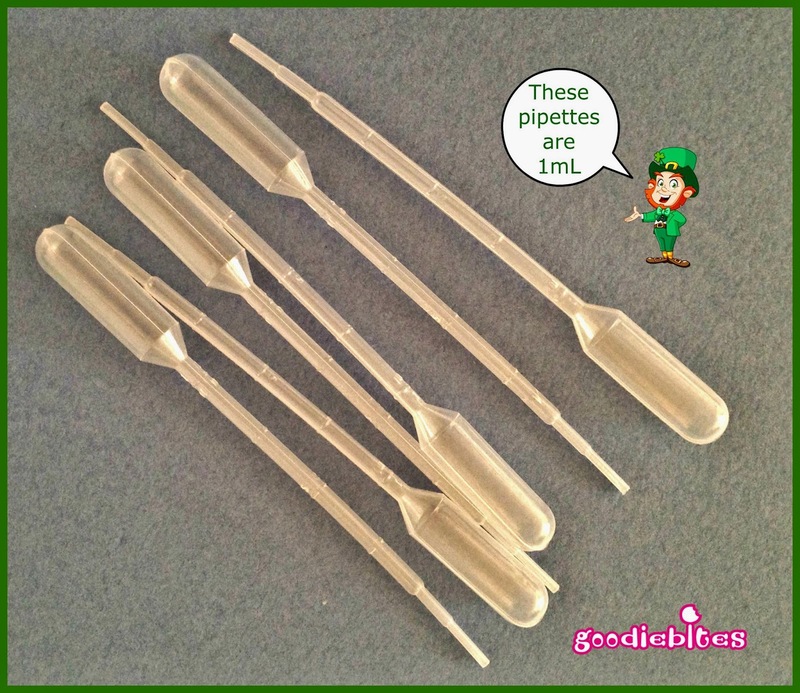 Pipettes? What’s a pipette? A pipette is defined as “a narrow, usually calibrated glass (or plastic) tube into which small amounts of liquid are suctioned for transfer or measurement.” Basically it’s a dropper. They are sold in various sizes and are easy to find on Amazon and eBay. The ones we are using are the 1mL size. They are made about 5-1/2 inches long so they must be trimmed close to the bulb area to be able to sit properly in the cake pop. 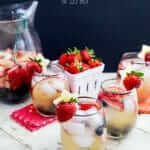 Seems like it holds about a teaspoon of liquid – which is just perfect to pair with your bite-sized treats. 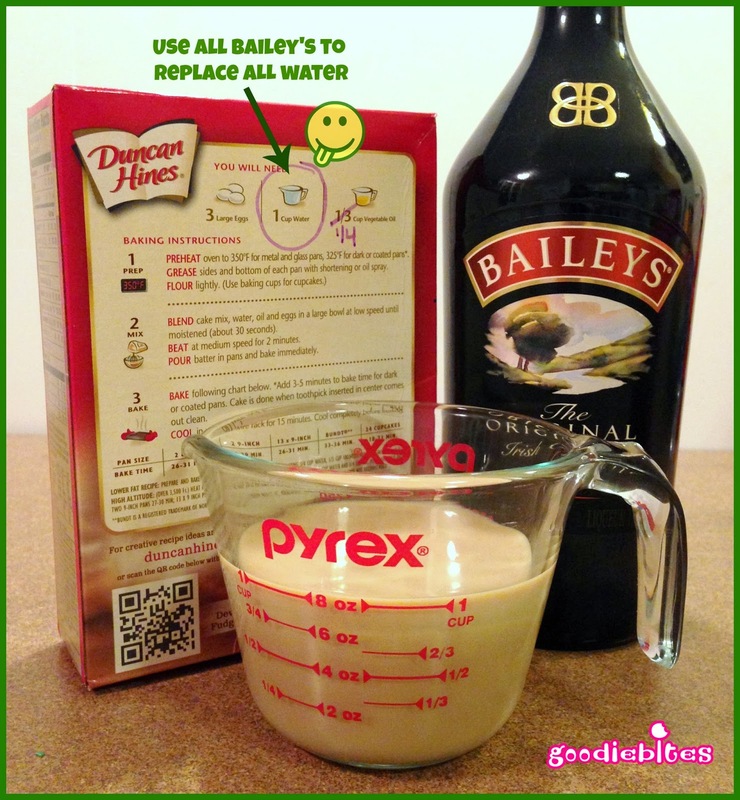 To prepare cake, replace all of the water called for with Bailey’s. Sounds crazy but a lot of the alcohol burns out while baking. Just trust me here. Hey, what’s the worst that could happen? If I’m wrong I doubt you’ll be upset! Also, as far as the oil, never use more than ¼ cup when baking a boxed mix to use for cake pops no matter what the box says. 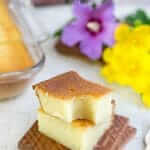 The cake texture will be less oily and your coated pops will be less likely to leak – always a good thing to remember. Oh, and of course, don’t forget to add your eggs! MMMMM….doesn’t your kitchen smell AMAZING?!?!?!?! Fully cool and then crumble cake. Before adding in your frosting to the cake crumbs, you may notice the cake is a little drier than usual. That’s because a lot of the alcohol baked out – see, I told ya! But this is – as Martha Stewart would say – ‘A Good Thing’. 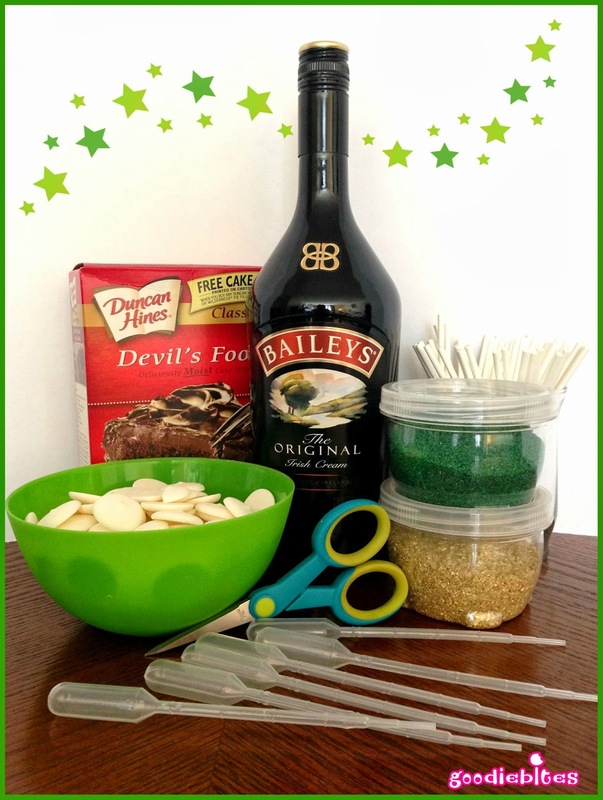 To moisten your cake a little – and add a touch more of that Irish Cream goodness – toss in about 3 or 4 tablespoons of Bailey’s. Mix that in and then add as much frosting as you need to make it the right consistency for balling. Shape your cake and refrigerate until ready to get poppin’. And go ahead – lick that measuring spoon! You know you want to! While your pops are cooling, you can prepare your pipettes. Just cut them close to the bulb, leaving about half an inch, which will be inserted into your cakepop. When you have them all cut, pour some Bailey’s into a cup or glass wide enough to fit your hand in in order to fill your pipette. Squeeze the air out of the pipette – the more air you squeeze out the more liquid you’ll suction in. 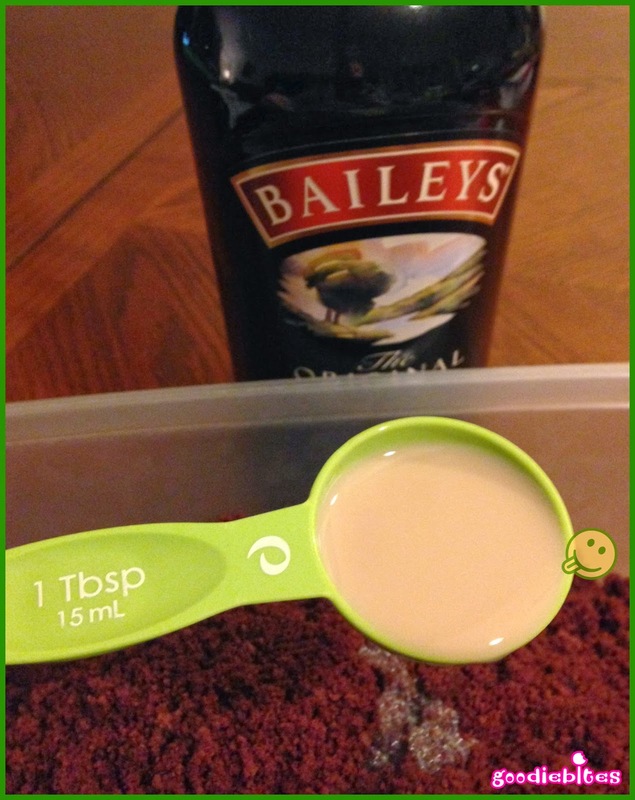 Place the open end into the cup of Bailey’s and slowly loosen your squeeze. This is a thick cream so it will take a few seconds for the pipette to fill. You’ll have a little air space at the top – that’s just how they work with the suction. Sit them on a rimmed plate so the liquid doesn’t lay sideways and drip out. When your cake balls are ready, place on stick as usual. You’ll then need to add a small hole near the top for the pipette to go in. Using the end of a pop stick works well. Insert it about ½ inch and remove. Just make sure to hold the ball steady with a finger or two so you don’t push it off the stick. 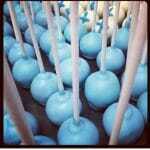 Dip cake pop in candy coating and drip off excess. Then immediately insert filled pipette into pop where you made the indent, being careful not to squeeze the pipette. It actually slides in pretty nicely. Using a toothpick, add a bit more melted coating to seal around the pipette. Set in stand to dry. 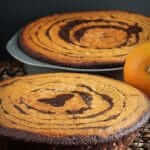 The cake will not absorb the liquid at all because once you insert it into the ball, the small opening fills with the cake which is dense and blocks anything from seeping out. Once your pops are dry, it’s time to decorate them. Since this post is in honor of St. Patrick’s Day, I piped on a little green coating in the shape of a four leaf clover and added green sanding sugar at the same time. I also made a few with some metallic colored sugar, seeing as how one of these boozy Bailey’s Irish Cream pops will make you feel like you’ve found your pot of gold at the end of the rainbow! 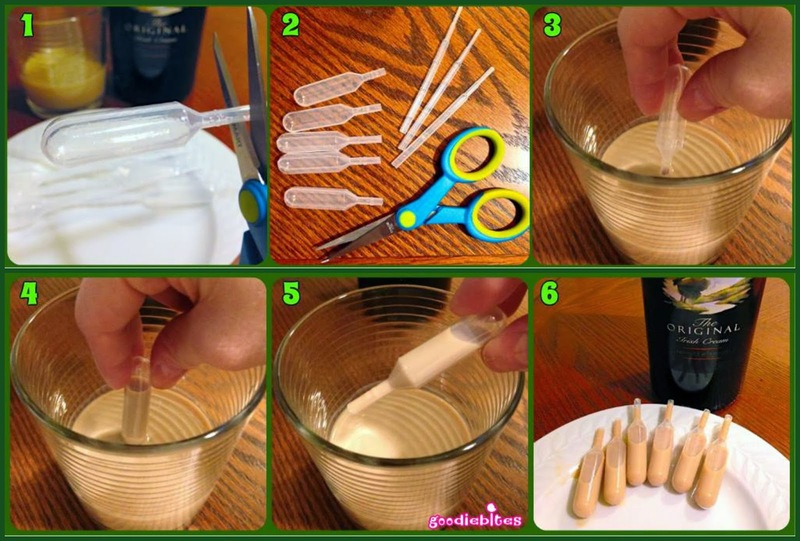 I also made some Bushmills brand Irish Whiskey Pipette Pops….. This all gives me further appreciation of St. Patrick’s Day!! What other holiday drink and cake combos are there? Sounds like my next holiday ‘cake-tail’ will be Jose Cuervo Tequila Cinco de Mayo Pops…..minus the worm! Can you come up with any fun and festive pipette pops? Half the fun is exploring, half the fun is creating, and half the fun is eating….. …ummmm, wait- is that too many ‘halfs’? Maybe I’ve had one pipette too many!! Thanks for checking out the tutorial and special thanks to Karyn for having us join her each month. Thanks so much Lisa! I love them! 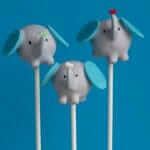 If you love them, but don’t love making cake pops, Lisa sells these through her website. 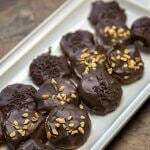 Lisa also hosts Cake Pop classes in New York City. Check out her up coming classes in March.